We arrived at Cordis Hong Kong so excited. 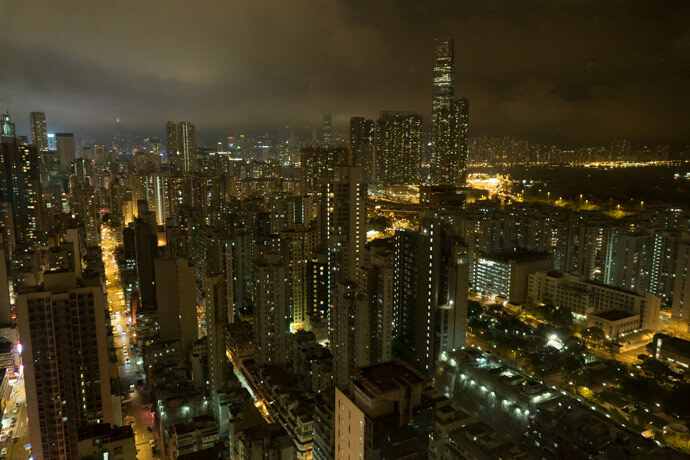 Hong Kong has been at the top of our list of cities we dreamt of visiting for so long, and from the moment we arrived we were nothing but in love with not only Cordis Hong Kong, but Mong Kok, well the whole city really! We just could not wait to check-in and see the view! We had Club access so we went straight up to the Club Lounge on level 36 to check-in. Lets just say our first impressions were amazing! 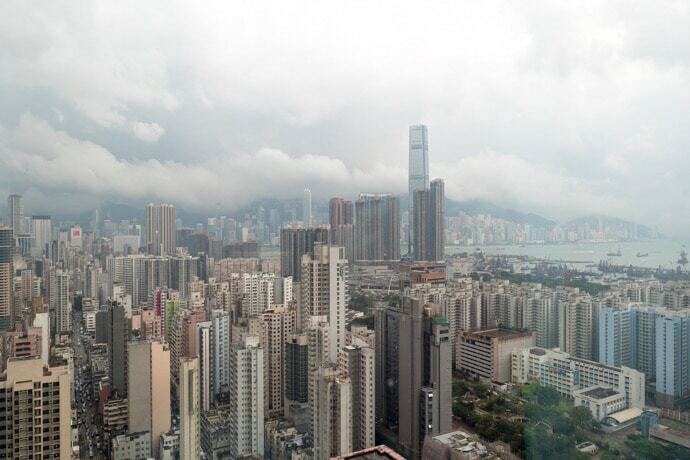 The view over Hong Kong from here would rival any view and beat most! 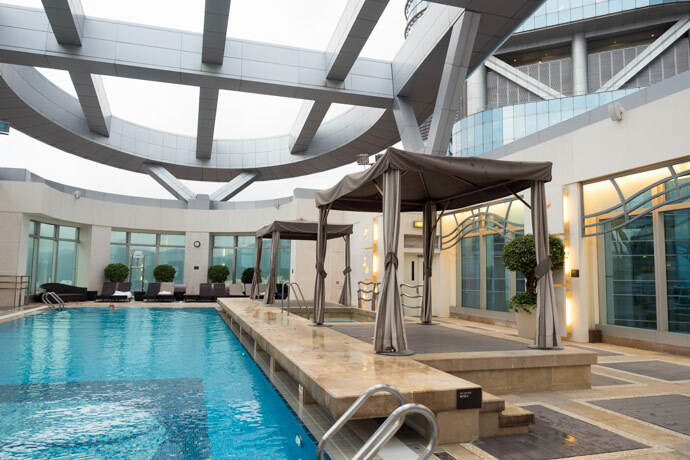 We loved the location of Cordis Hong Kong. 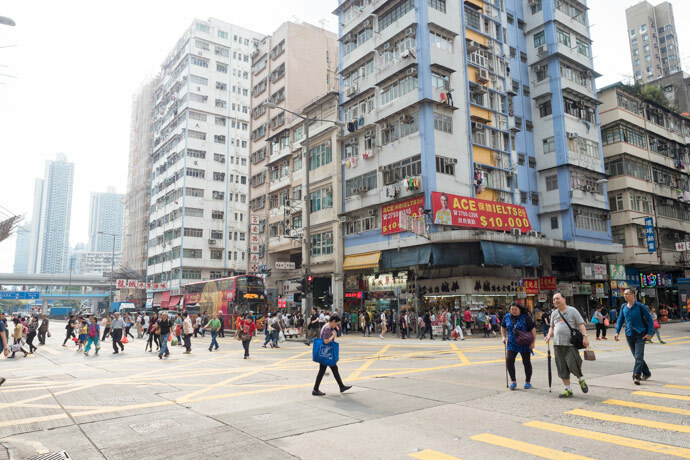 It is in Mong Kok which is such a vibrant area and the hotel is in Langham Place, which has MTR access so it is a great area to explore Hong Kong from. 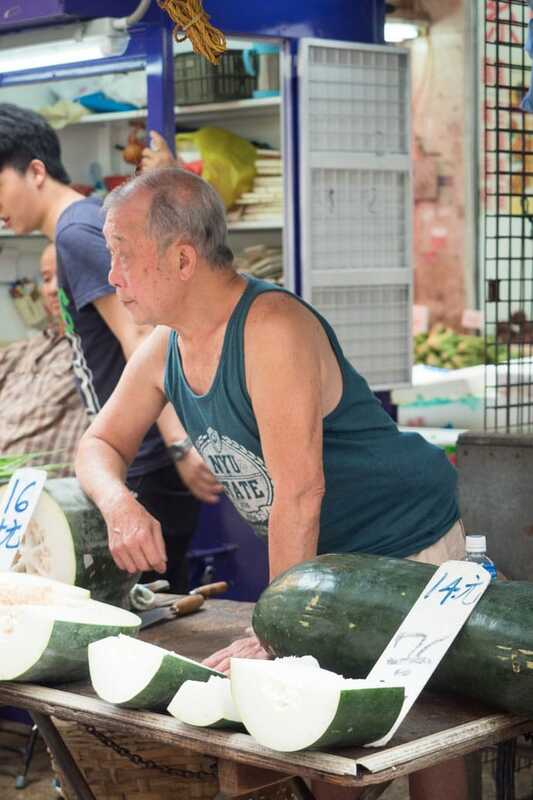 The area itself has a much more local feel than other areas and that feeling combined with how easy the MTR is to explore, the location was our favourite. We loved our room and once we looked out over the city we found it hard to do anything other than look out the full wall window of our Studio room. There was also a kitchenette with a fridge, sink and microwave which was a nice touch, but for us the view was the standout. Whenever we came back from exploring the city we just could not go to bed, the view kept drawing our attention. 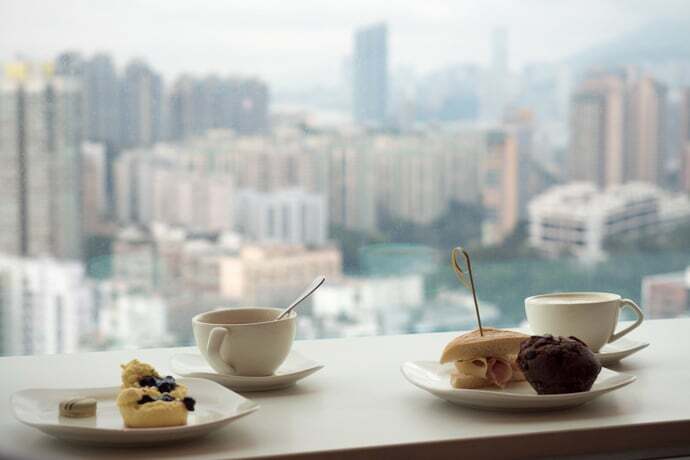 There is so much beyond the rooms that make Cordis Hong Kong special. 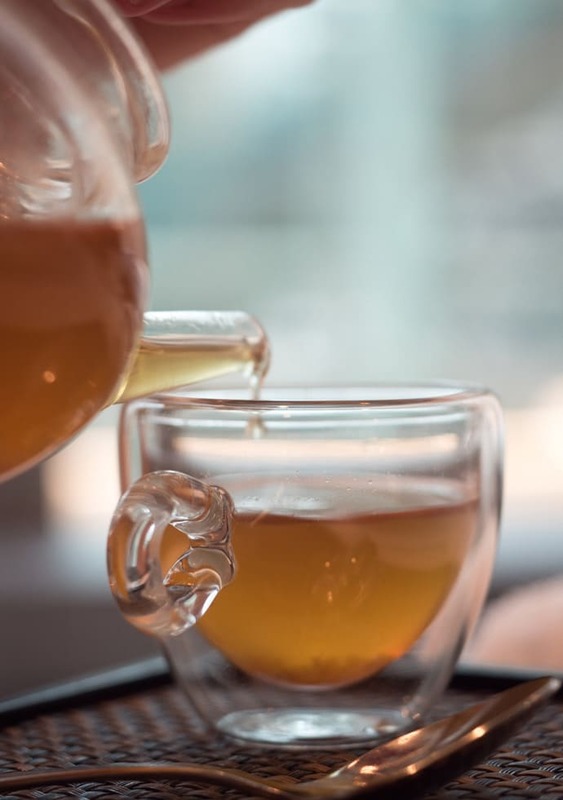 The quality of all the food and drinks is another reason to stay. Even if you can’t stay they are definitely worth a visit. 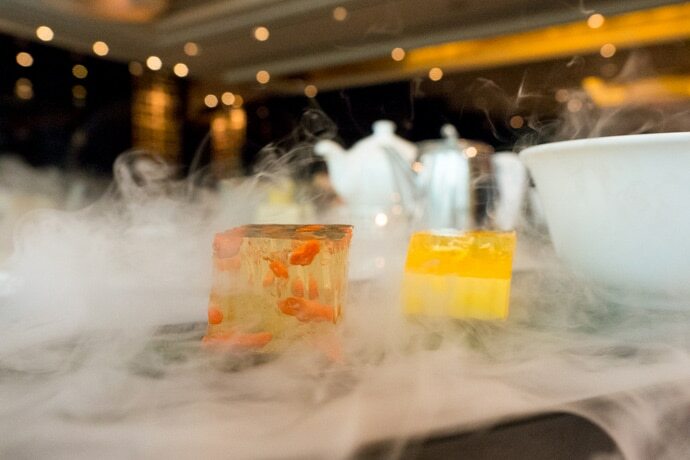 We had such an incredible dining experience at Ming Court, a Two Michellin Star Cantonese restaurant in the hotel. Everything we tasted was incredible and you could really sense the quality of the ingredients and dishes you were eating. Another standout was Alibi. The cocktails made by mixologist Leo are incredible and fun. 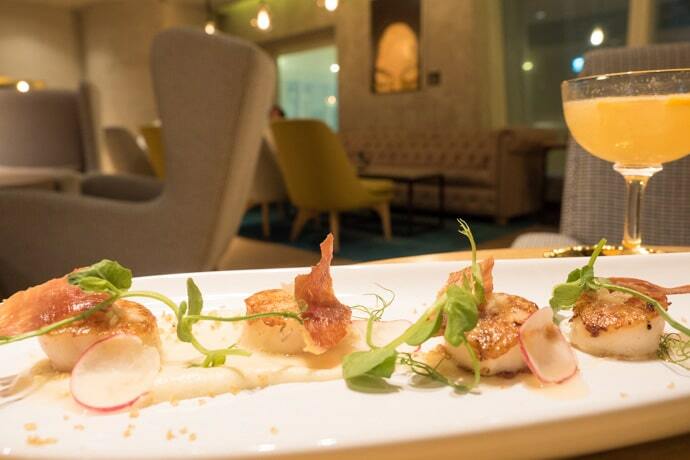 We loved not only the drinks but the food and the atmosphere all surrounded by art! 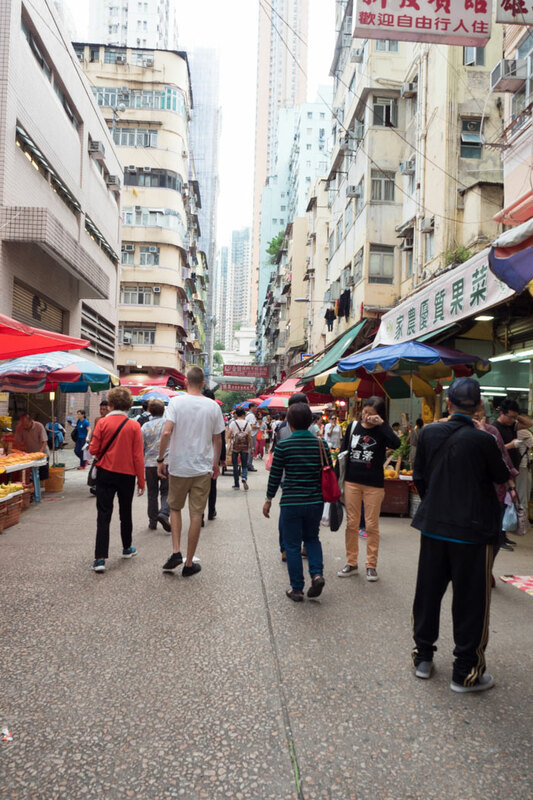 We also did a Mong Kok walking tour with the Concierge. It is done in a way to help you see whats around the hotel and make the most of the local area. This was such a good idea to give you a bearing of where you are and to help you make the most of your stay at Cordis Hong Kong. We had a swim in the open rooftop pool too. Once again from here the view is amazing and was great to have a swim after a day out. 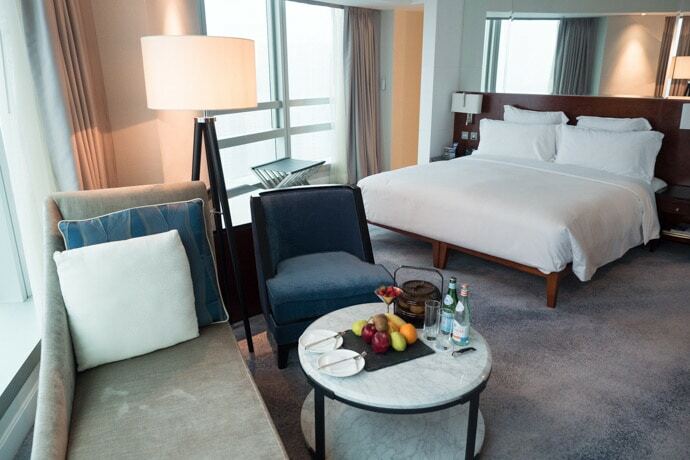 We would definitely recommend booking a room with Club Access. 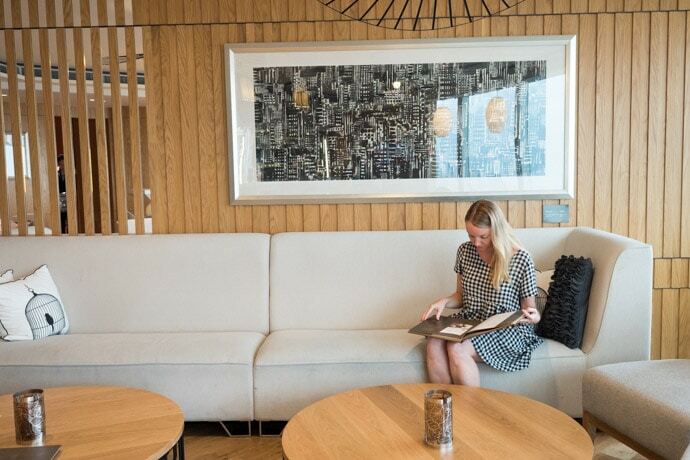 Such a nice space with a great selection of food, drinks and sweets throughout the day and into the night. With the view from either side being equally stunning makes club so desirable. 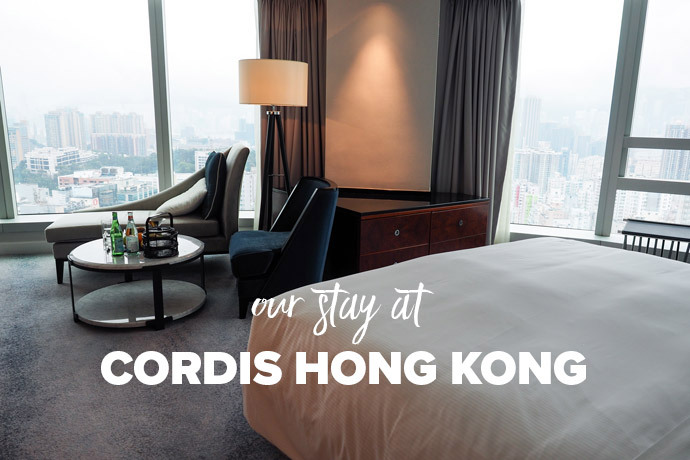 We loved our stay at Cordis Hong Kong so much. It had such a sophistication to it and the artwork throughout really added. The bonus of having Ming Court and Alibi really make Cordis the entire package. Two of the main reasons we were so excited to visit Hong Kong was to eat incredible food and stay in an amazing hotel. Cordis Hong Kong delivered on both. Our stay was courtesy of Cordis Hong Kong, but our experience and what we share with you is 100% Mandy + Chris.